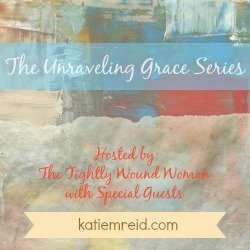 It is a delight to introduce (or re-introduce) you to some fabulous ladies throughout the #UnravelingGrace series. I connected with today’s special guest through the #RaRaLinkup. I appreciate Jenni’s honesty as she invites us into her current unraveling. 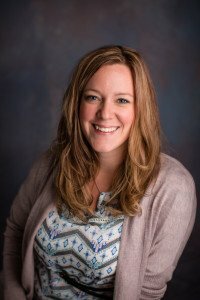 Jenni DeWitt is a fun-loving, loud-laughing contemplative who is discovering the value of rest and silent prayer in the midst of this rushed society. She is the author of two books — Forty Days and Why Won’t God Talk to Me? Jenni lives in Nebraska with her husband and two young sons. She loves to find Jesus in the everyday and writes about rejecting fear and choosing trust in God at Genuflected.com. Last month, I felt like I was dangling from a steep cliff, clinging to a rope as my legs moved in a fearful, futile effort to find safety. It was two weeks before the end of my son’s three-year cancer treatment, and I was a ball of stress. My son needed surgery, but we weren’t sure if he would be healthy enough to go under anesthesia. I was convinced things were going to drag out and end badly. I’d tried taking deep breaths. I’d tried prayer. I’d been still and grateful. But these things—that had calmed my fear in the past—weren’t helping. So I went about my days with anxiety welling up inside me, fingers digging into the rope as I hung from the side of this mountain of fear, desperately wondering how it was all going to turn out. And then, like anyone dangling from a mountain, I did the logical thing; I started screaming for help. I posted on Facebook asking for prayers for my son and our family. I implored random people in the grocery store to pray for us. And I confided in my closest friends that if ever there was a time to pray, it was now. I needed prayers like I needed someone to grab the other end of that rope and pull me up to safety. Then, on the day of the surgery—the day I’d asked them all to pray for—I woke up feeling blissful peace and a bizarre, I-get-to-go-on-my-dream-vacation sort of happiness. It’s not how I had expected to feel. My prayer time that morning only enhanced my feelings of peace. And although I experienced some dips and turns in my emotions throughout the day, everything went amazingly well—actually, freakishly well. The timing was perfect. The medical procedures went smoothly. And we even had fun with some of our favorite nurses. When the day was over, I thought back to how worried I’d been the previous two weeks, and I wondered why I had been so afraid. The mountain of fear had been so completely removed that it seemed like there had never been anything to worry about in the first place. That’s when it dawned on me— God doesn’t just help us over the mountains. He moves them. (<===Click to Tweet). Because of the faith and prayers of others, God abundantly cared for my son and our family. He healed my anxiety and fear. And it wasn’t because of my faith. My faith was dangling precariously from Fear Mountain trying to get a foothold. But my community of prayer warriors moved mountains for our family with their faith. I felt it. The nurses felt it. Our entire family felt it. So yes, despite our best efforts, there are times when we will be dangling on the side of Fear Mountain, clinging desperately to the rope of faith. We will flail our legs, scared and pathetic, unable to shake the feelings of impending doom and gloom. But when we are hanging there, we can shout for help. Because faith—even the faith of others—can move the mountains of fear in our lives. Have you ever dealt with fear that just wouldn’t go away? During those times, did you feel comfortable asking others to pray for you? P.S. Get caught up on the #UnravelingGrace series or revisit some of your favorite posts. What an encouraging, and well-written testimony. How scary to give your child over to surgery– of any kind. I love your honest here and how God moved your mountain of fear. Mostly, I appreciate how you pointed out that our mountains aren’t our circumstances- they are what threatens our relationship with God. These words are worth repeating: “But when we are hanging there, we can shout for help. 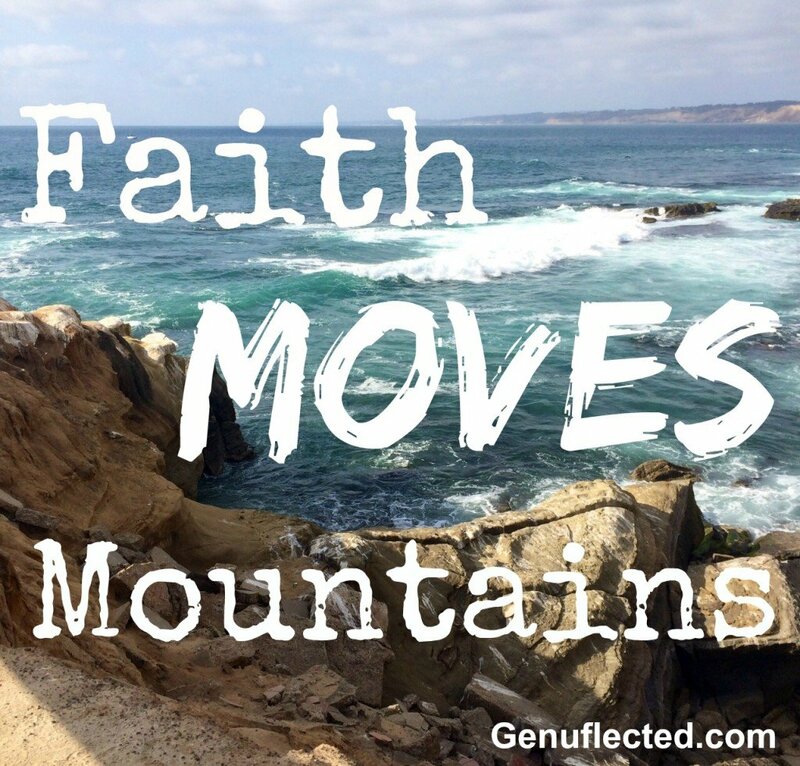 Because faith—even the faith of others—can move the mountains of fear in our lives.” Great post! Karen, yes, you are so exactly right! It is what threatens our relationship with God that we must pray away. Carmen, of all the things Cooper went through with his cancer treatment, it was the surgery and going under anesthesia that never got any easier. Such a scary thing to walk away from your child and leave them with strangers! Grateful for your love and support. Glad you have such a strong source of strength. Even more glad that your precious little one is over the surgery and doing much better.